Rocket is horrifying. I very nearly didn't do it, but there was no way I could skip it. Never seen that one before! Wow, I wonder if there are any others of the travelling star flier type around? There's a stat page for the Slingshot. It goes up to 70kmph! That company have some really disgusting rides on their site. The Vomatron booster thing, eurgh! Oh my - the bottom right picture looks very rude! Drop towers. I don't know why, but they just scare me when I look at them. When I do go on them, I am fine. It's one fear I need to get over. I rode Skyrush for the first time today and yeah my first spin was pretty terrifying... Back row, left wing seat, apparently the most intense seat on the train. What a fantastic ride. Sythe and MestnyiGeroi like this. I personally prefer the back right seat, but yeah, that first ride tests your arms up nerve. I have a fear of heights - so I genuinely get scared on most coasters above 40ft, but to me that adds to the thrill! I get very nervous on most lift hills - the tension build adds to it! Okay, so I likely already mentioned Top Thrill Dragster/Ka and drop towers, but I have to throw in the S&S Freefly Coasters as well. They're hilariously fun, but the lift hill scares the crap out of me! It's not a 'still', but TTD terrified the ing life out of me. Magnum also scares me a bit. The only cred so far to nearly make me scream to get off, it's the lapbar that does it. This is what I was terrified of. The thought of this plus the openness when in the train got to me bad. Heh heh. For me it was the launch that made me nervous for the first time. 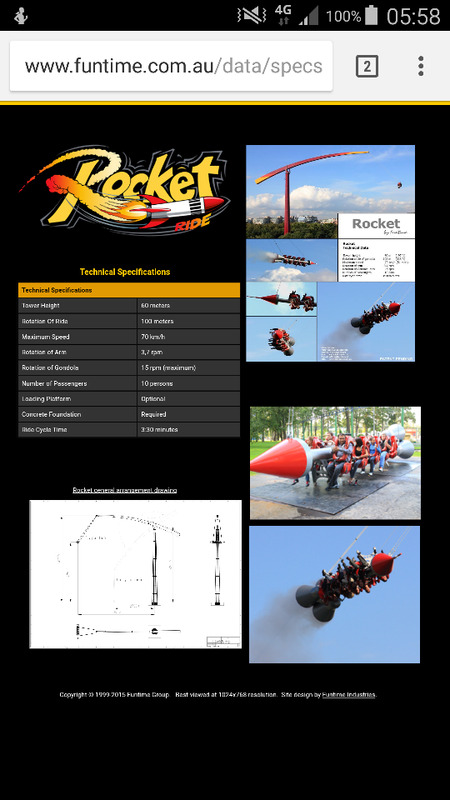 Most enthusiasts love launches, but if they're really powerful I can barely handle them. Yes, of course the height was intimidating, too, as this was my first strata. Large drop towers are terrifying. Can't really think of anything else. I was scared a silly amount by Aerospin at Liseberg. Even though I knew I was safe my internal monologue was screaming at me the whole way round that I was spinning so fast I'd come off the structure, off the tower and down the cliff. I normally take everything theme park related in my stride but I came off this shaking like a leaf. Absolutely amazing feeling and so unexpected. I have huge respect of every sling shot. I do ride them because I want to ride everything. But every time I am sitting in one I am scared af. Scare me in two different ways. For the element of being scared due to the inversions/intensity of the ride I would probably say Dragon Khan as its pretty brutal. Its a nice ride but its a never ending cycle of intense inversions. Not many rides make me feel nauseous but this one does. For the element of being scared due to the condition of the ride and the feeling that the train is going to fall out of the track at any moment I would have to say Jubilee Odyssey. No other coaster I have ridden has felt so loose and worn out and clunky. Although that said, I am always genuinely scared riding front seat on an intamin accelerator through fear of the lauch cable snapping. I am always genuinely scared riding front seat on an intamin accelerator through fear of the lauch cable snapping a pigeon to the neck.